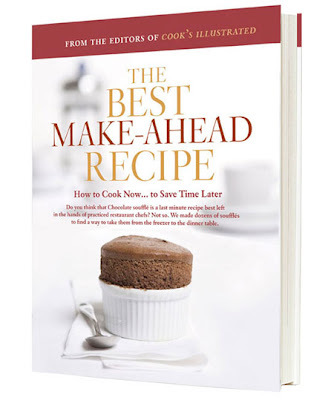 I'm super-excited about this gift from the husband: The Best Make-Ahead Recipes from the never-fail, test everything 40+ times people at Cook's Illustrated/America's Test Kitchen. Ooh! That is definitely a happy gift! That's a FANTASTIC gift!! I adore, positively adore, my Cooks Illustrated cook books. I don't even bother with the others anymore.